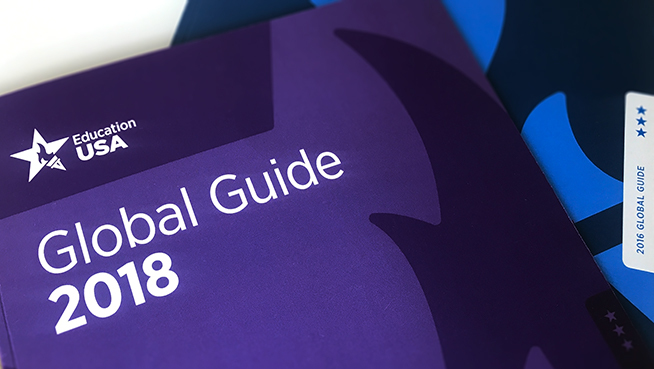 The annual Global Guide is EducationUSA’s signature resource to guide U.S. colleges and universities in their approach to international student recruitment. EducationUSA produces an annual publication written by EducationUSA Regional Educational Advising Coordinators (REACS) with Washington, D.C. staff. These regional chapters present detailed information on current recruitment trends, country highlights, and government scholarships written by experts on the ground. The Global Guide provides U.S. higher education recruiters with detailed statistics on in-person and virtual outreach, along with tips on the best means of communication with students from the region.